Local distilleries put a modern, balanced spin on a misunderstood spirit. 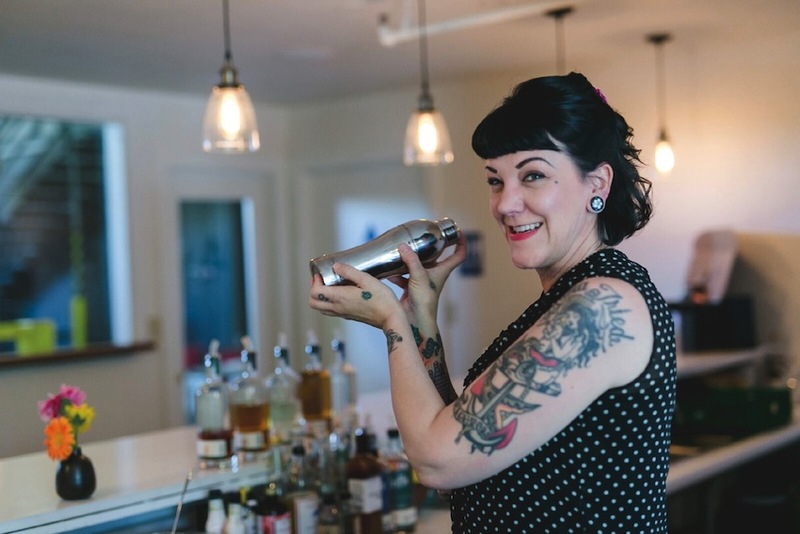 Jenny and her husband Michael Griffo, head distiller at Griffo Distillery, want to help people forget those early encounters with the demon gin. At their Petaluma headquarters, they produce Scott Street Gin, whose balanced blend of botanicals recently nabbed a gold medal at the 2016 San Francisco World Spirits Competition, otherwise known as the Oscars of the spirit world. The Griffos are part of a growing group of Sonoma County distillers—Spirit Works, Alley 6, Graton Distilling, and Sonoma Brothers Distilling— that are producing modern, elegant gins nothing like the ones your parents drank; gins that will change the mind of even the most resolute gin hater. For one, instead of a one-note spirit dominated by piney juniper, these spirits feature a nuanced blend of botanicals. Gin and other spirits, say distillers, are the natural next step for Sonoma County’s booze scene. Drinkers here already have sophisticated palates, honed from years of tasting and appreciating wine and craft beer. Gin is a lively addition to the thoughtful drinks popping up on menus around the county at craft cocktail-loving spots like Spoonbar, Duke’s Spirited Cocktails in Healdsburg and Starling in Sonoma. And, of course, there’s our penchant for locally made products. Gin is also a savvy way to break into the distilling world. Vodka is boring, rum isn’t that popular, and whiskey requires years of aging from distillation to drinkability. That’s not the case with gin. 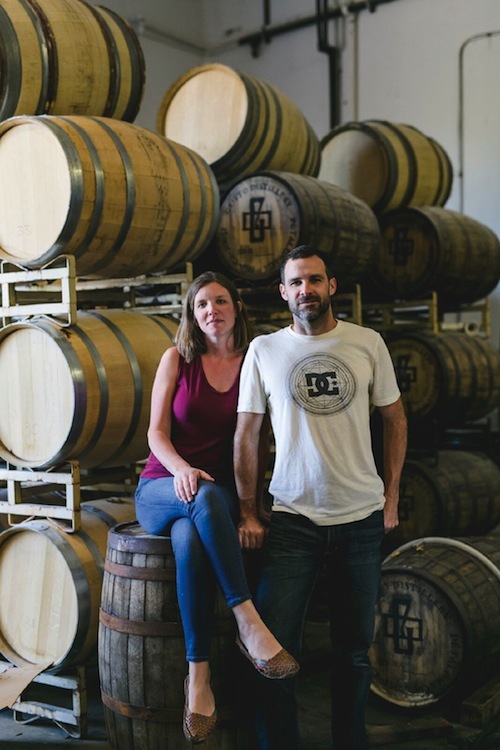 “You can make it one week and sell it the next,” says Jason Jorgensen, who started Alley 6 Craft Distillery with his wife Krystle in 2012 and released their Harvest Gin for the first time this year. Gin is also an intellectual challenge for distillers. Unlike whiskey, which has strict rules governing ingredients and aging, the only rule for gin is that it has to taste mostly like juniper. For distillers, this open territory is an opportunity to play around with botanicals and create distinctive flavor profiles and recipes. Gin making always starts with vodka. Spirit Works makes their own. They call it “grain to glass” since all of their spirits begin with a base alcohol produced in-house from organic California red winter wheat. Griffo starts with a corn vodka purchased from a company in California. 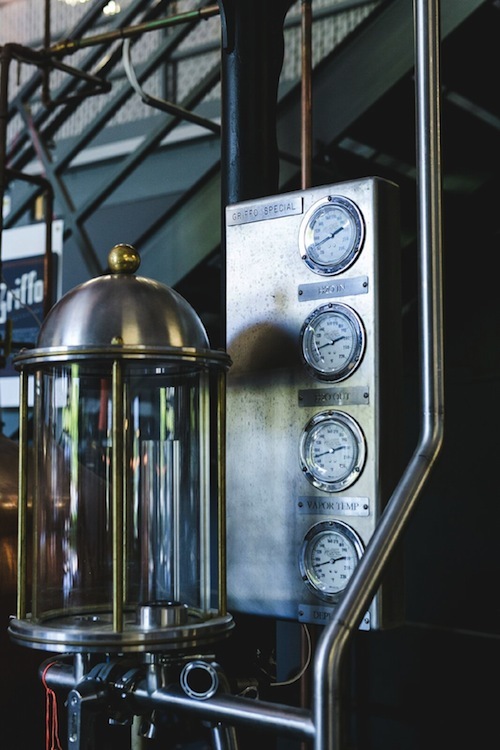 The first step is the spirit run, where botanicals like angelica and hibiscus (Spirit Works) or local Meyer lemons and grains of paradise (Griffo) are added to the base alcohol. Then the distiller makes needed cuts, picking the best part of the product after distillation. At this point, there are three parts known colloquially as the head, the hearts, and the tails. Alley 6 follows the same process but takes a different approach to their source materials. A few years ago, the Jorgensens were contracted to make grappa and brandy from the Viognier grapes of a local winery. The Jorgensens liked the results so much that they started making gin from Viognier pomace—the seeds, stems, and grape flesh leftover after winemaking. The result is their Harvest Gin, made once a year with local fennel and Bay Laurel. “It’s got the aromatic floral quality of the Viognier wine itself, and the seeds contribute some tannic quality, and then the green from the stems adds bitter but kind of sweet characteristics—it’s just delicious,” Jorgensen says. Customers can sample the results for themselves at Alley 6’s tasting room in Healdsburg. Thanks to updated liquor laws, a number of Sonoma County distilleries offer tasting rooms where customers can experience the spirits and take tours of the facilities. A few years ago, California distillers, unlike wineries and breweries, weren’t allowed to sell spirits on the premises, making tasting rooms nonexistent. The law changed in 2015, and tasting rooms have turned out to be a hit with customers. Jenny Griffo has seen people treat their tasting room as a welcome alternative for tourists sick of their umpteenth winery. Two of their regulars are a Napa couple who come in about once a month with out-of-town guests in tow—there’s only so much wine you can drink, they admitted. Even with developing demand for the new, tastier gin, how many producers can one county sustain? In 2012, there were just three distilleries in Sonoma County. 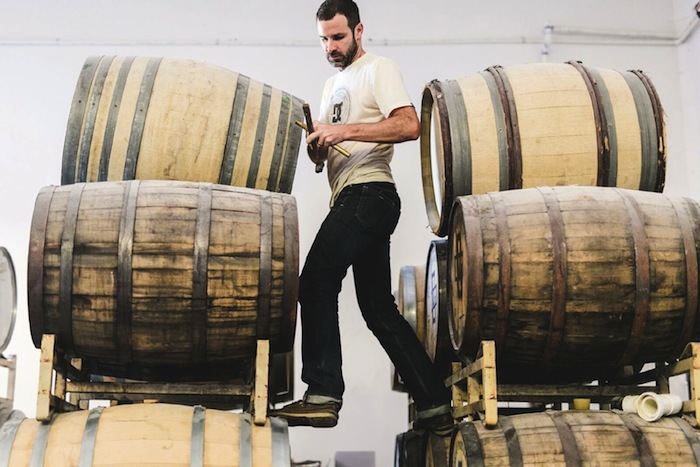 Five years later, there are about a dozen craft distillers. But, the consensus from established distillers seems to be that the scene still has to room to grow. At Alley 6, they are focused on slow, sustainable growth. At Spirit Works, Patz is delighted that customers’ new appreciation of gin’s herbaceous nature has allowed her to experiment with an aquavit, a Swedish herbal liqueur. At Griffo, they’re releasing limited batch amounts of experimental varieties, like a gin aged in Chardonnay barrels, out of the tasting room. Even with the sharp increase in distilleries, the Griffos remain confident that there’s room enough for everyone. Combine gin, lemon juice, and simple syrup into cocktail shaker and fill with ice. Shake and strain into highball or Collins glass filled with ice, and top with soda water. Garnish with your favorite fresh herb such as rosemary, sage, or mint. Add all ingredients excluding soda water to shaker. Strain into a rocks glass filled with ice. Top with soda water. Garnish with lemon or orange slice.